Home » The Ultimate S2000 Swap? Viper V-10! We’ve covered various S2000 swaps before, particularly the Supra 2JZ-GTE engine swap (also here and here) that to date has produced the wildest S2000 ever. 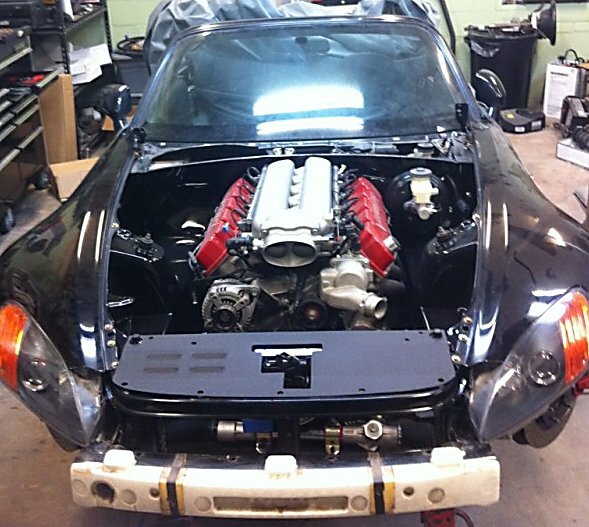 V-8 swaps are starting to become more common, probably because the S2000 offers a better platform for a V-8 swap than does a Miata. It’s slightly larger and it’s also a considerably more rigid platform. But in both cars, anything above the original 4 cylinder engines is going to torque the chassis far beyond it’s design spec. 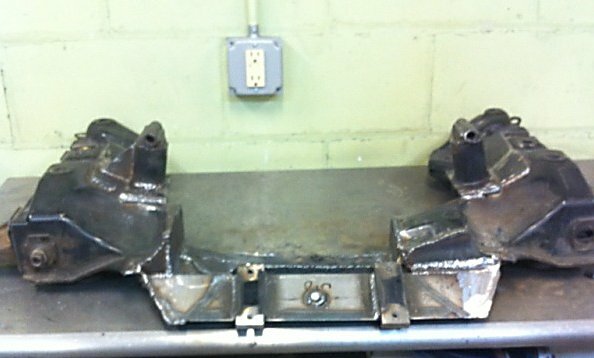 Trips down the dragstrip will be a torsional nightmare for sheet metal integrity. 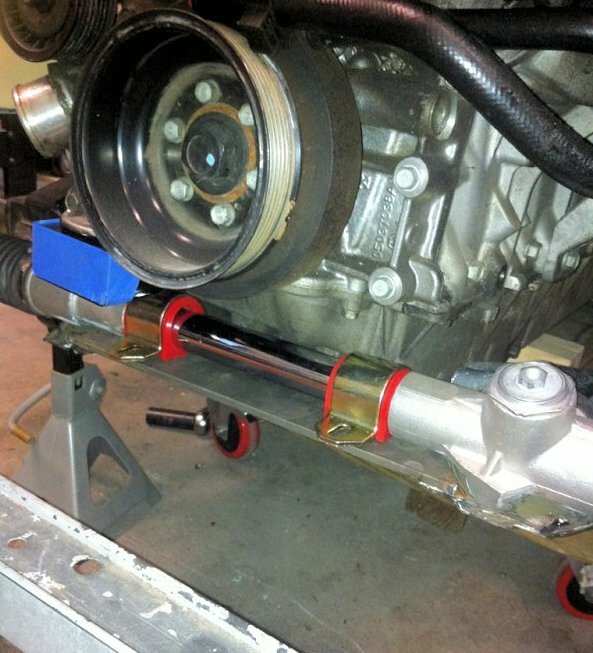 And trips around a roadrace circuit will play havoc on parts such as spindles that were never designed for such torque. 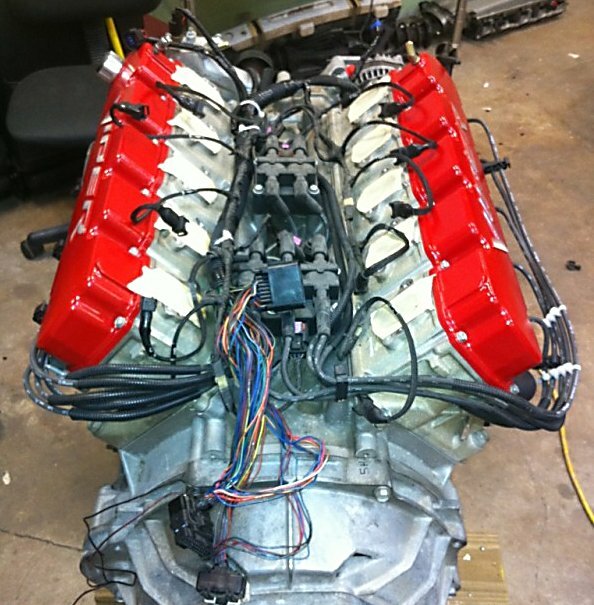 But those factors are not of primary consideration for engine swap enthusiasts: it’s the technical challenge and the sheer power that are the main attractions. 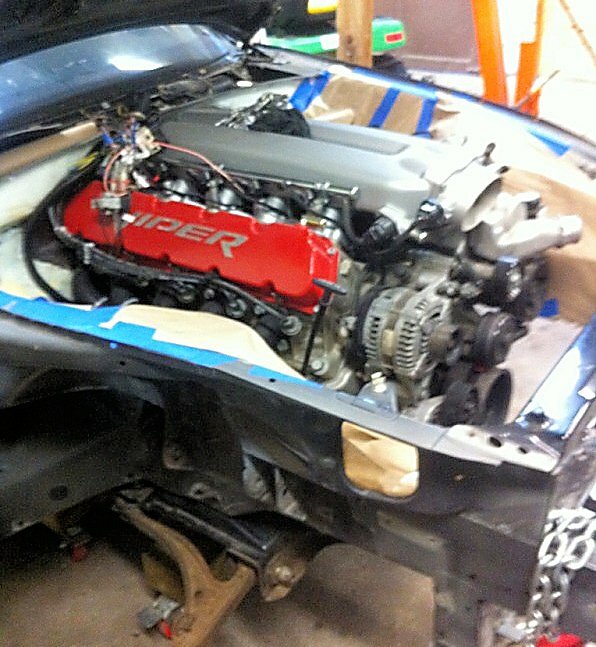 So here is what is probably the ultimate S2000 swap: a Viper V-10 engine. 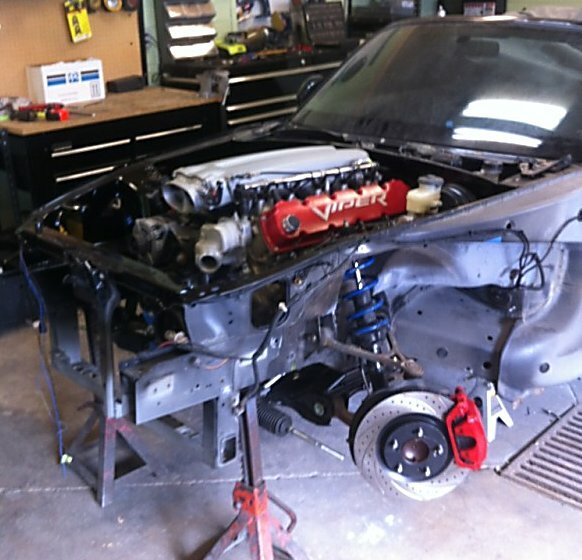 This swap is in progress right now, and you can follow the story over at www.V8S2000.com. We’ve saved some of the supplied pictures for the sake of posterity. It’s in, and it almost looks like a natural. Engine height is a challenge. 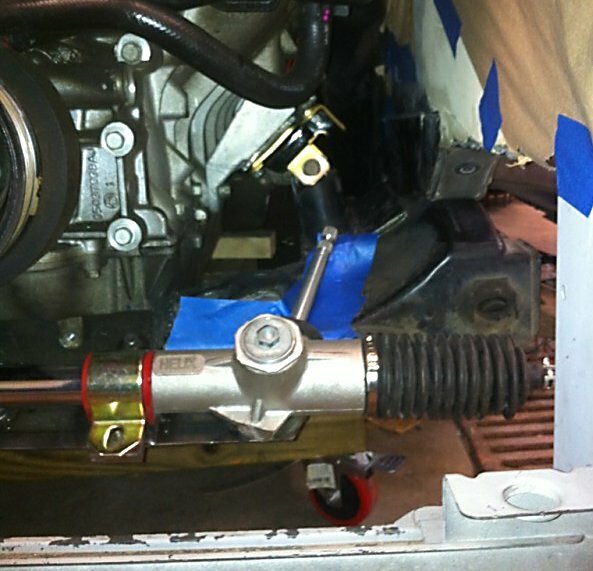 One downside to the S2000 is the electric power steering system… the electric motor is very large. In this swap, that system was discarded. Side view showing the length. 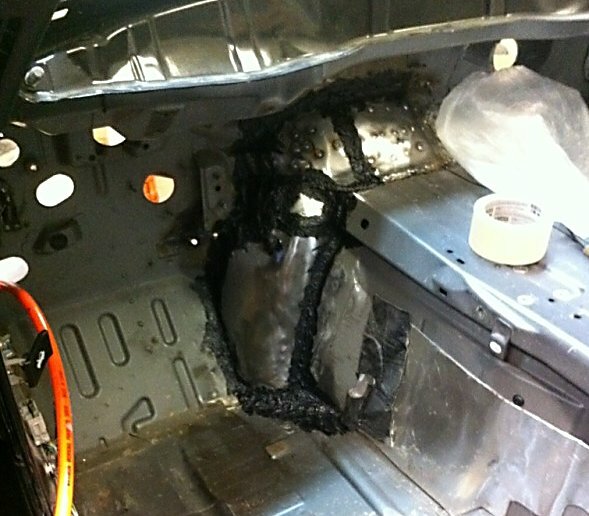 The front crossmember, normally directly in front of the factory 4-cylinder, has been removed. Very tight clearance issues, but successfully solved. 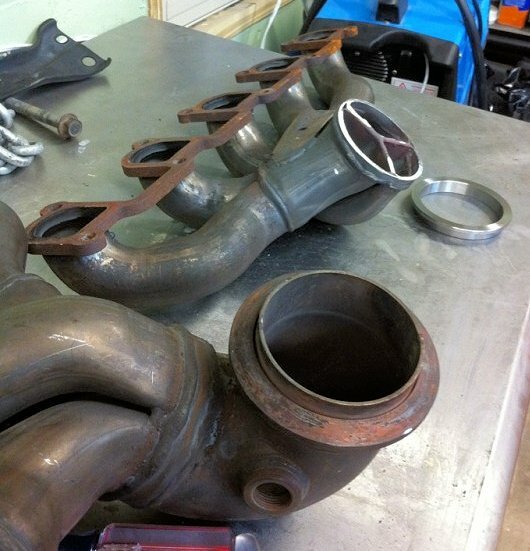 Be sure to follow our Engine Swap posts via their category and tags. We’ve got a considerable set of swap stories, and are always looking for more.